You are here: Home > MCSD News & Alerts > MCSD News & Alerts > Colorado News > Blastball 2019! 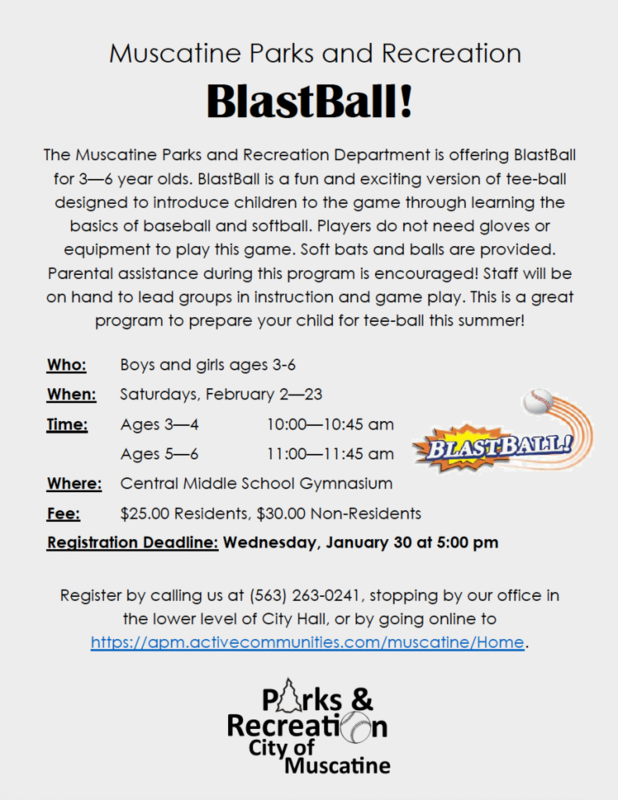 BlastBall is the perfect opportunity to prepare your child for summer tee-ball! Trained staff will lead the group in skill instruction and game play in this exciting introductory program. Boys and girls ages 3-6 will love learning the fundamentals of baseball and softball with age-appropriate equipment. Parental assistance during this program is encouraged!